Radu Muntean has done work for GM and Ford designing new concepts for vehicles, and is now Principal of Bus Boy Audio [Full Profile]. Check out all of his shared work at his Coroflot page and website at http://www.octanegallery.com/. His sketches are so beautiful, I just had to post a note on here. If you’re into industrial design, and specifically car design, you need to check out Rob Jensen’s website at http://robjensendesign.com/. 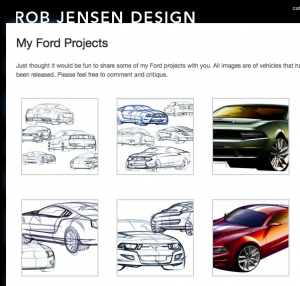 Rob is a car designer at Ford, and was lead-designer for the 2010 GT500 Mustang. 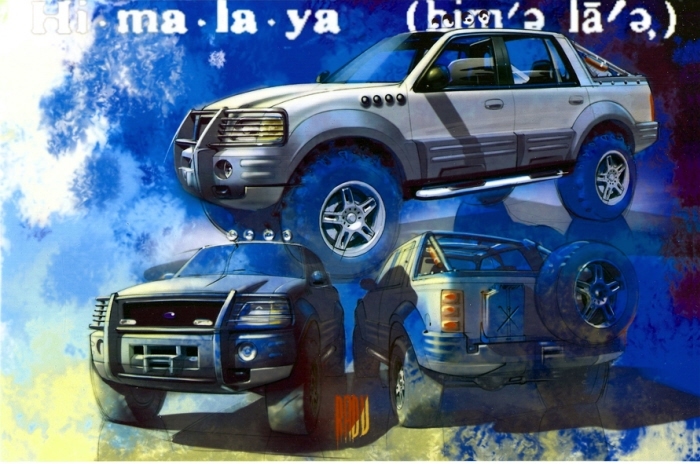 On the more visual side, he shares a page full of car sketches and renderings that should inspire anyone who enjoys putting ink down on paper. If you’re on Twitter, you can also follow Rob at @robjensendesign. 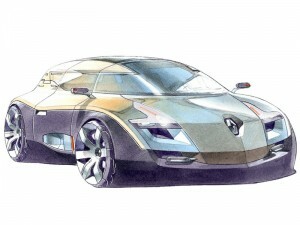 Simkom.com has a page full of amazing car/transportation sketches and hand renderings. These completely blow me away, and should be a great reference resource for anyone sketching cars.